1. Will my color match after the car has been painted? Absolutely! Due to our incredibly extensive color matching system we are able to enhance color tints to many variations. 2. Do we work with all major insurance companies? Yes we do, and we are set up to be extremely insurance friendly to provide the best quality service and streamlined experience. 3. Can I easily get into a rental car with the MCC? Absolutely! We’ll take care of this for you quickly and conveniently. 4. What type of payment methods are accepted at Medina Collision Center? Visa, MasterCard, American Express, Discover, Personal Check, and Cash. 5. What type of makes and models are accepted? 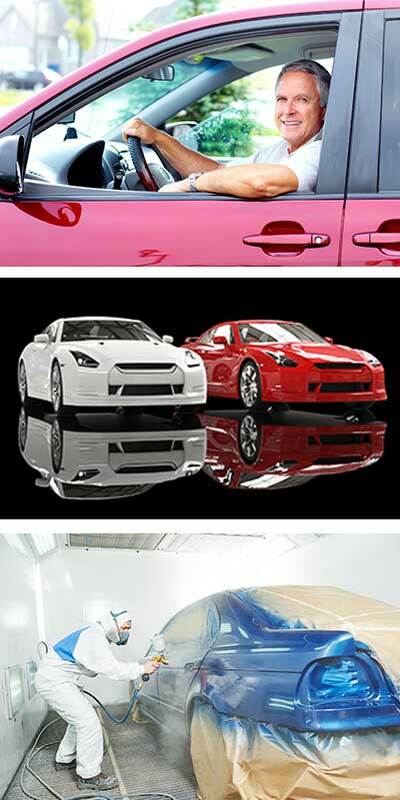 We accept all makes and models for collision repair. Call us! No job is too big or too small for the type of equipment and man power we have at MCC. 6. Does it cost anything to get an estimate? Not at all. Stop by! We’ll glad provide you a free estimate to do the repairs to your vehicle. 7. How many estimates do I need for my insurance company? This is completely at the owner’s discretion at the shop of their choice, so one estimate for your insurance company is fine. 8. How long is your warranty? MCC offers a 5 year warranty on all major repairs, with the sole exception of rust repair.